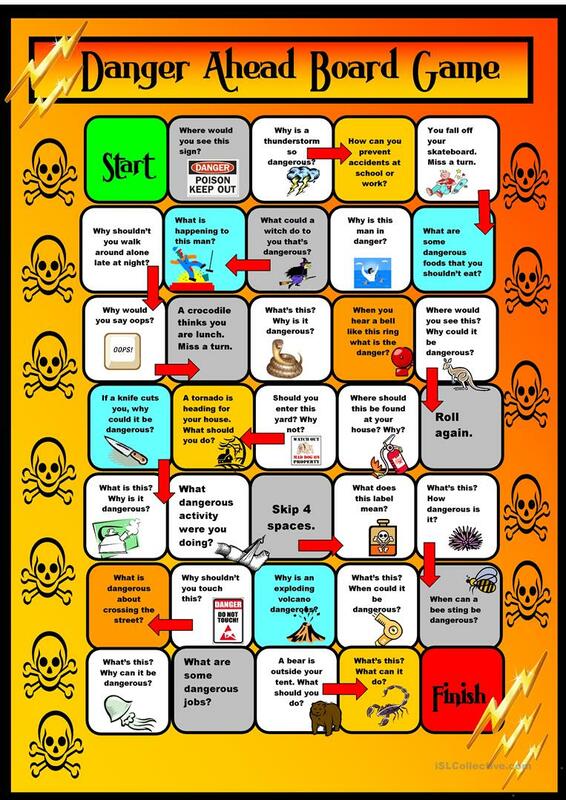 The Danger Zone Board Game of PhilipR is a favorite with students. So I created another version since it got everyone talking- which is the whole point. A topic bound to help with speaking skills. Everyone loves to talk about danger. The present downloadable teaching material is recommended for high school students, elementary school students and adults at Pre-intermediate (A2) and Intermediate (B1) level. It can be used for working on your pupils' Speaking skills. It centers around the vocabulary topic of Animals.